Ancient Plovdiv Municipal Institute finalized negotiations with Eventim Bulgaria and signed a contract for selling tickets with the biggest online platform in Europe. 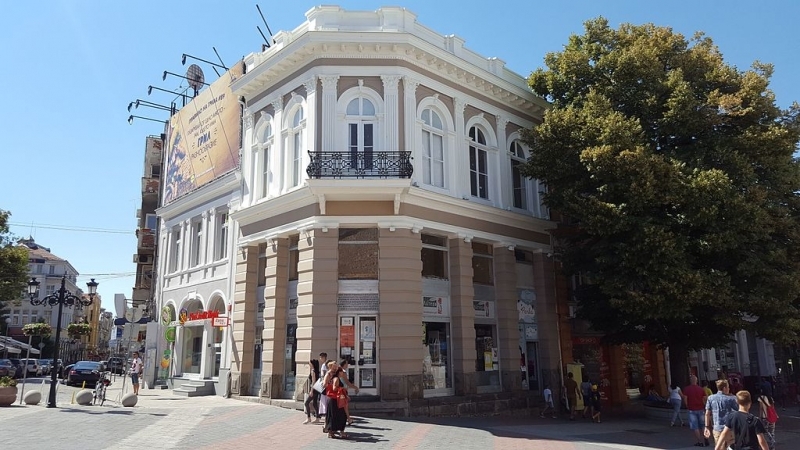 After signing the contract, Ancient Plovdiv Municipal Instutute starts selling online tickets in two places: Tourist Information Center on 1 Rayko Daskalov str. (next to the Roman Stadium) and ticket desk of Ancient theatre on 2A Tsar Ivaylo str. Locals and guests of Plovdiv can now buy tickets for all of the events (festivals, sport events, concerts...) happening in Plovdiv, Bulgaria and in Europe, which are available in the platform of Eventim. Eventim is the biggest online platform for tickets, that is active in 23 countries in Europe. It sells tickets for over 140 thousand events annualy - music events, sport events, Formula 1 and many more. The next step of developing the partnership between Ancient Plovdiv Municipal Institute and Eventim is opening a new Ticket office with modern vision in front of the Municipality of Plovdiv. What is more - tickets for the museums, house-museums, galleries and events in Plovdiv would be available for buying from all of the Eventim offices in Europe.